Sportive sunglasses. Durable frames made of nylon. 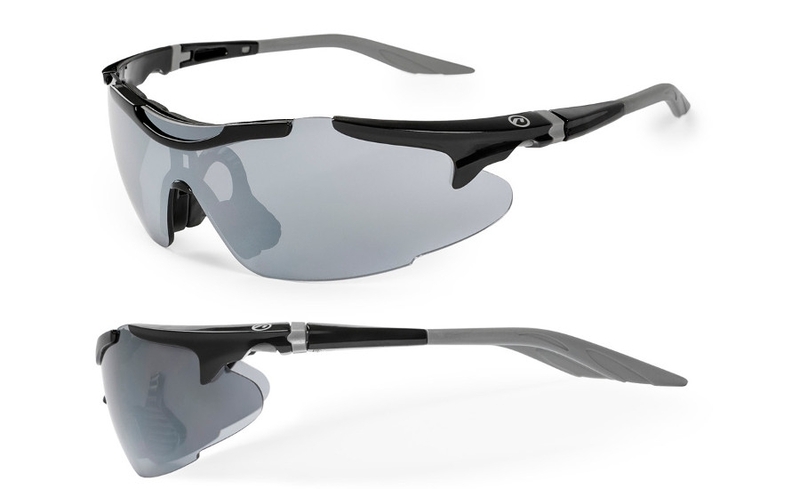 Two pairs of replaceable, durable polycarbonate lenses equipped with UV 400 filter to ensure high protection from harmful sunlight radiation. Sportive sunglasses. Durable frames made of nylon. Two pairs of replaceable, durable polycarbonate lenses equipped with UV 400 filter to ensure high protection from harmful sunlight radiation. Removable temples which can be replaced by holding band. The full set contains sunglasses with additional band and soft black case.